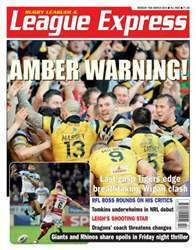 This week's Rugby League Express has all the latest news from all sections of the Rugby League world, with match reports and photographs from Super League and the Championships in the UK, and from the NRL competition in Australasia. 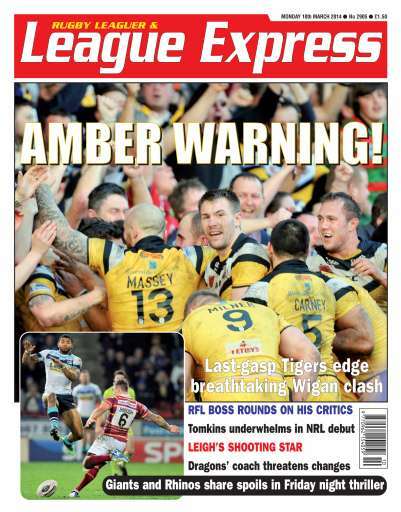 Read about Sam Tomkins' debut in the NRL for the New Zealand Warriors, and read the opinions of the best columnists in the game. Check out the highlights of the week, and find out what the key people in the game are saying about it.